While Minnesota life did not make the GFC top 10 life insurance companies it did get an honorable mention and we have had great success working with this company. 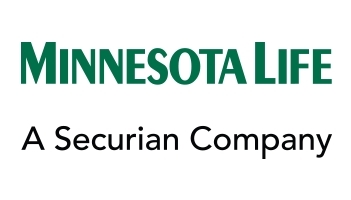 Since 1880, Securian Financial Group has been the holding company and parent of Minnesota Life Insurance Company and Securian Life – as well as their affiliates. This financial powerhouse specializes in working with employers to offer financial, retirement, and insurance plans to their employees. And, for more than 80 years, Minnesota Life Insurance Company has provided businesses with customized solutions to their employee benefit needs, as well as with expertise in administering large public and private employer plans to small and medium sized municipal employers. This insurer also offers individual insurance options. This insurance company insures more state plans than any other group insurer. It also counts 20 percent of the Fortune 100 companies as its clients. Also, it is proud to offer industry leading technology, such as the first mobile optimized website for group insurance transactions. The average tenure of the company’s staff is 12 years. Its parent company, Securian, is also considered to be strong and stable. Securian has nearly 15 million customers, and more than 5,000 associates and representatives in its headquarters in St. Paul, Minnesota, as well as in sales offices around the country. Also, the company has more than $1 trillion of insurance in force, and in just the year 2014 alone, it paid out more than $4 billion in benefits to its customers. A+ (Superior) from A.M. Best. This is the 2nd highest of a possible 16 total ratings. AA (Very Strong) from Fitch. This is the 3rd highest of a possible 19 total ratings. Aa3 (Excellent) from Moody’s Investors Service. This is the 4th highest of a possible 21 total ratings. A+ (Strong) from Standard & Poor’s. This is the 5th highest of a possible 23 total ratings. Minnesota Life Insurance Company offers both term and cash value life insurance policies. Life insurance policies are individual and group in nature. For the group plans that are offered, regardless of whether these are offered as basic or as voluntary plans, group life insurance products are considered to be the mainstay of most employee benefits programs – and Minnesota Life Insurance Company provides them all. Group Term Life Insurance Coverage – Group term life insurance coverage offers life insurance protection for a set period of time. This type of life insurance will pay out a benefit only if the insured passes away during the term that the coverage is in force. With term life insurance, there is no cash value build up. Group Universal Life Insurance Coverage – A group universal life insurance plan will combine the protection of life insurance coverage along with the option to build up savings with cash value. This cash value account will earn a fixed rate of interest. Variable Group Universal Life Insurance Coverage – A variable group universal life insurance plan will offer a death benefit, and will provide the option to invest in a variety of different investments, and will also make allocations to a guaranteed account. With a variable group universal life insurance policy, the investment “sub-accounts,” there can be some both potential risks and rates of return so that employees may “customize” their investments to meet their specific financial goals. These investments can fluctuate, and when they are redeemed, they may be worth more or less than the amount that was initially invested by the employee. These plans may be designed to include a guaranteed account that offers a fixed rate of return that is guaranteed never to fall below three percent. The guarantees for the guaranteed account are based only on the financial strength and claims-paying ability of Minnesota Life Insurance Company, which are important. However, this has no bearing on the performance of the individual investment options. Accidental Death and Dismemberment Insurance – Accidental death and dismemberment, or AD&D, coverage provides a benefit if the insured attains bodily injuries that result in death or dismemberment as a result of an accident. Business Travel Accident Insurance – Business Travel Accident, or BTA, insurance will provide a lump sum benefit if the insured dies or is injured due to a covered accident while he or she is traveling for business. Critical Illness insurance – If an insured is diagnosed with a condition that is covered in a critical illness insurance policy, then the lump sum benefit may be used in any way that the insured chooses. These may include making mortgage payments, paying for child care, or paying for any out-of-pocket medical costs. Accident insurance – The accident insurance that is provided by Minnesota Life Insurance Company will offer a payout to use in any way that the insured wishes that can cover deductibles, out-of-pocket medical expenses, or even everyday living expenses. In addition to term and permanent life insurance coverage, and the accidental death and dismemberment (AD&D) insurance protection, accident insurance, and critical illness insurance to both large employers and to executive groups across the nation, this insurer also partners with Zurich International Life in order to provide group life insurance coverage for global employees. Individual annuities are also offered by Minnesota Life Insurance Company. These can help individuals to ensure that they will have an income for the remainder of their lives, by paying out a guaranteed income stream on a regular basis, regardless of how long the person lives. Also, retirement plans are also offered through Minnesota Life Insurance Company. They have an IncomeToday! Annuity, which is an immediate income annuity (as you can probably guess from the name). With these annuities, you pay one lump sum and then you’ll start receiving paychecks immediately. If you’re getting close to retirement, you might be worried about having enough money, but that’s where these annuities come in. Aside from the immediate paycheck, there are several other annuity options that you can choose. One popular is a fixed indexed deferred annuity. These are annuities that are based on the performance of the markets. That means that these annuities are going to give you guaranteed income, but there is a chance that they could earn you much more. Another type of annuity that you can choose to supplement your retirement income is variable deferred annuities. When you invest in a variable deferred annuity, there are several options for investing your money. The investment options of the annuity can reflect your risk tolerance and you can change the investments as you get closer to retirement. Through the parent company of Minnesota Life Insurance Company, Securian, there are many additional insurance and financial products that are offered, too. These include retirement plans, investments, and executive benefits. Because employers are this company’s key market, Securian works with groups in identifying the right plan types for their needs – from profit sharing and 401(k)s to defined benefit and cash balance plans. The 401(k) plan design options are based primarily on employer goals, as well as the budget and demographics of the particular employer. Investment options can be selected from more than 5,800 unique investment options, and investment allocation portfolios are based on age or risk tolerance. Profit sharing and matching contribution components are also available. While few employers offer defined benefit plans today, Securian helps companies to differentiate themselves and offer their employees the security of knowing that they’ll have an income for life with a pension income. Regardless of how the investments in the plan perform, the participants in this type of plan will be able to still receive a set amount of retirement income. Cash balance plans are also available through Securian. These types of plans can help an employer to essentially bridge the gap between a traditional defined benefit plan and a defined contribution plan such as a 401(k). The qualified plan products that are offered by Securian are done so via a group variable annuity contract that is issued by Minnesota Life Insurance Company. While the company (Securian) works with employers of all sizes, it specializes in plans that have assets up to approximately $200 million.